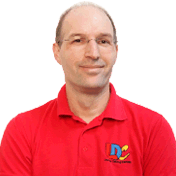 Hi I'm Neill, I am a fully qualified Government Approved Driving Instructor (ADI) and I am passionate about road safety. I’ve been running my driving school in London for Ten years and been a trainer of instructors for six years. Looking for a better quality of life for my family I have moved down to Dorset. Due to local extended family it already feels like home and I am aiming to continue my mission of helping pupils/clients become safe, skilled and confident drivers. Whilst also training instructors to assist in the same mission.